Sgt. 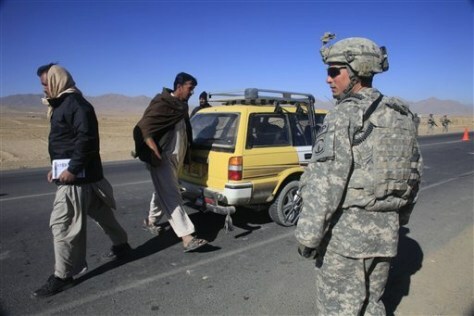 Michael McCann, from Enterprise, Ala., mans a checkpoint in Afghanistan's Logar province on Nov. 19. "This is a totally different place" from Iraq, he says.